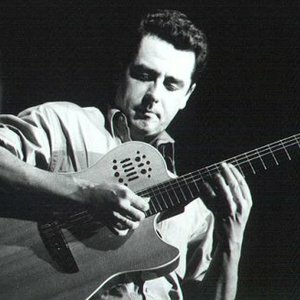 1) Smooth jazz/jazz fusion guitarist Marc Antoine was born in Paris, France, and currently resides in Madrid, Spain. His guitar play style is based on Roma music. 2) French R&B adult contemporary singer Marc Antoine was born in Montr?al, Qu?bec, Canada, and is of Haitian descent. Guitarist, composer and producer, Marc Antoine, was born in Paris (France) on the 28th of May 1963. His parents bought him his first guitar when he was 11 years old which quickly became his third arm. Marc has had a guitar in his hands ever since. 2) French R&B adult contemporary singer Marc Antoine was born in Montr?al, Qu?bec, Canada, and is of Haitian descent. At 17 he'd already won many prizes and started showing an interest in a variety of music genres including jazz, rock, Afro, pop, and more. At the same time he was playing in local bands in Britany (France). In 1988 he moved to London where he joined Basia's band and worked with The Reggae Philharmonic Orchestra, Soul to Soul, Pato Banton, and General Public. He was also part of the London Acid Jazz scene. His world tour travelling lead him to spend time in Tokyo where he became an acclaimed session player. As a true citizen of the world, Marc kept moving, this time to Los Angeles in the late 90's. He stayed there for 12 years playing for music royalty such as Sting, Celine Dion, Rod Stewart, Cher, Selena, Queen Latifah, George Benson, Guru Jazzmatazz, Take 6 and others. He composed and performed for major movie soundtracks: "Get Shorty"; "The Fan"; "Patch Adams"; "Midnight In The Garden Of Good and Evil"; "Demolition Man"; and "Celtic Pride". He also worked with producers of the likes of Tommy LiPuma, Philippe Saisse, Marcus Miller, Mike Pela, Guy Roche and Stoker. Most importantly, however, Marc began his successful solo career. His first album was "Classical Soul" NYC records 1994. Then came "Urban Gypsy" NYC 1995, "Madrid" GRP 1998, "Universal Language" GRP 2000, "Cruisin'" GRP 2001, "The Very Best of Marc Antoine" GRP 2002, "Mediterraneo" Rendezvous Entertainment 2003 and "Modern Times" Rendezvous Entertainment 2005.